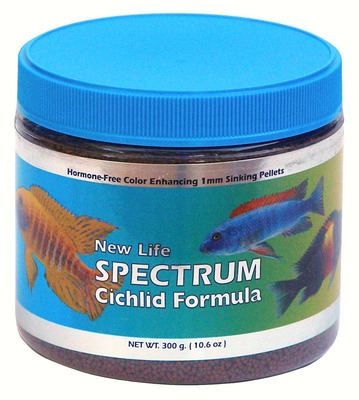 New Life Spectrum Cichlid Formula. High-Quality,Easily Digestible Krill and Herring Protein. Balanced daily diet for all Cichlids. Enhances the full spectrum of your fish's color.